You know there are people, usually highly empathic people, that choose this job willingly, b/c they do care about helping people... and not just because it was pushed on them. 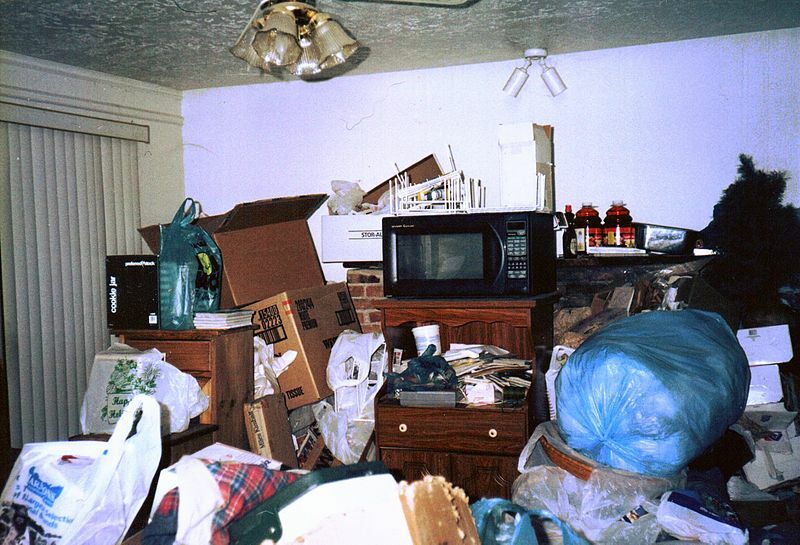 Have you ever watched the show Hoarders? Or any of the spin offs? This happens quite a lot and people are specifically trained to help with this, as a choice. For years. How do you know you're not doing this guy damage if you don't have the capacity to empathically understand his reactions? i don't do annything wrong (au contraire) but let's say the fat the oppertunety to do something wrong is always there i kinda get off on so sould i say away? @12:55 I know what you mean, but I think everyone has a little damage and everyone looks for someone else who's damage is symmetrical to their own. That goes for NT's, empaths, and S's. If I can focus on other people's damage I can keep from hurting them more. Sometimes I need them to tell me about it. It's creepy, yeah, but it works. They end up more bonded to me by sharing their trauma and then I can be appropriate and nurturing, instead of causing more damage. Hello M.Brig, MyMind, Monica and Anon!!!!!!! Hey Rich, Monica and Anon!
" I understand his suffering and want to help him. I don't know where that desire comes from, but it is real." I gotta admit, yesterday, i had the desire to make someone happy, but without thinking about whats in it for me. I think that was the first time ever i felt that. That is great MyMind!!!!! Do you know why you felt that or what brought those feelings to the surface? I worked for 5years in a church and as youth director. And even that didn't affect me in any way. I think the way our relationship works, and what it's based on, caused this. But i don't think i am changing in any way. In my opinion its just the fact, that i never met a person who's like --- before. Oh, now I get it mymind, you have a girlfriend!!!!! Well I am glad to hear ur in a good relationship that is different than the others! Good for you, and her!!!!!! "I gotta admit, yesterday, i had the desire to make someone happy, but without thinking about whats in it for me. I think that was the first time ever i felt that." іf made usе οf 30 minutes each and every ԁay. Is this post telling a story of M.E.? And, is the remark 'I doubt empaths could pull this off' coming out of M.E. 's mouth? I sure hope there is no yes answer to either of these two questions. Something is below expectations. hey y'all, guest post means the posy was written by a guest, not by ME. what's the deal with the messed up apostrophes? anyone? don't make google. Thank you for that guest post clarification. Why that guest would qualify to post that thing only God and ME know. And, why this guest will not have a successful blog on his/her own we all know.